At the end of September, London was once again placed under the banner of modern design, drawing Britain’s leading interior designers to the capital. Among them Colefax and Fowler. 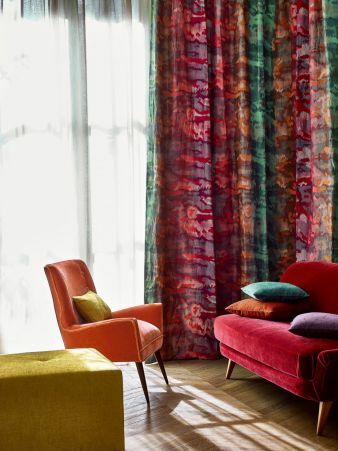 Established in the 1930s by Sibyl Colefax and John Fowler, this company today has several brands under its wing, such as Manuel Canovas, Jane Churchill, Larsen, Sibyl Colefax and John Fowler. At the showroom in the modern, architecturally stunning Chelsea Harbour Design Centre, visitors seized the chance to view and feel the latest collections for the autumn/winter season 2018/2019. 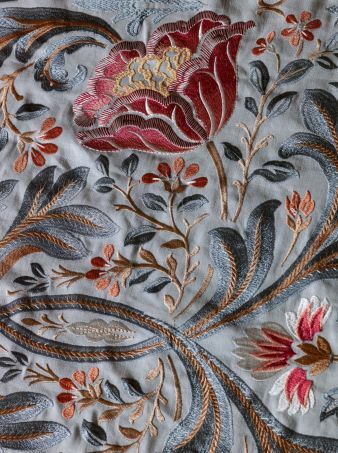 Floral iconography and eastern influences rub shoulders with gorgeous plaids, sumptuous silks, plain textiles, velvets, wool and transparent linens in traditional and modern designs. Decorative prints are interpreted in rich reds and blues. Soft tweeds are found alongside particularly light and transparent linens, some of which are adorned with sophisticated embroidery. The collection by Jane Churchill impressively unites new, organically inspired ornamentation with abstract designs and refreshing floral patterns. The new velours range features a wide selection of different patterns, including small chenille diamonds. Heavy jacquards are exposed to a special spray technique, lending them a mossy finish. The opulent plain velvet comes in 41 colours. 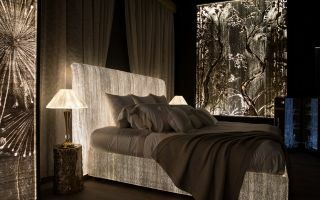 Osborne & Little presented its collection at its London showroom on the fashionable Kings Road. Named after a village in the hills of Mallorca, "Deya" is the name of the latest creations by designer Matthew Williamson who spends many months of the year there. Williamson’s embroidered and printed fabrics and wallpapers are visibly inspired by the Mediterranean both in style and colour. Nina Campbell’s printed and embroidered fabrics are reminiscent of traditional, ancient Indian designs. Neutral luxury is the maxim for Designers Guild: Picturesque flowers, digitally applied to pure linen; fabric covers made from pure wool in bold and brilliant colours. Read our full report on the latest UK trends in textile network 1-2/2019.